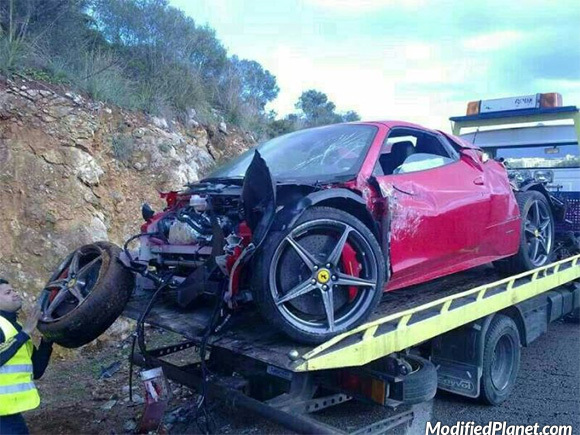 Owner of this 2011 Ferrari 458 Italia lost control of his super car and totaled it. 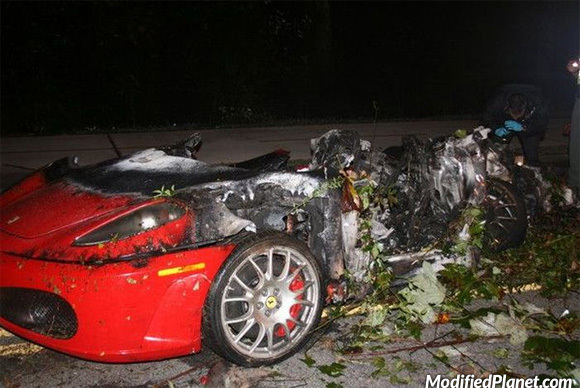 Owner of this 2004 Ferrari 360 Challenge Stradale crashed, caught fire and totaled his car. 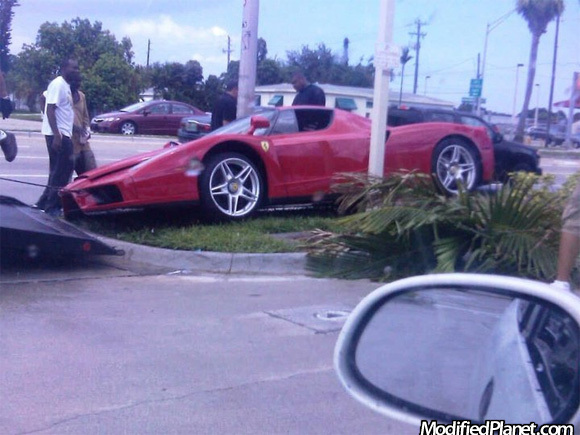 Not everyone knows how to drive a 2004 Ferrari Enzo and here is what happens when they crash into a telephone poll. 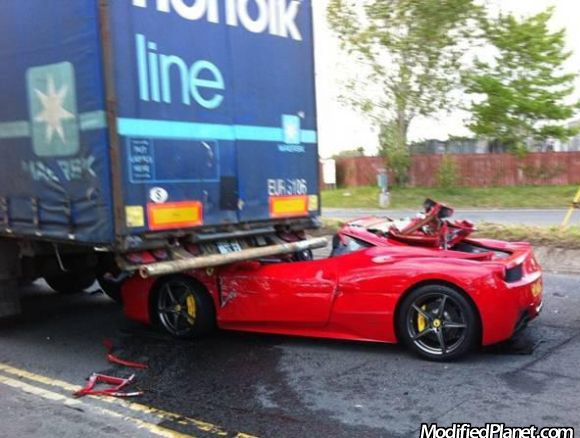 2010 Ferrari 458 Italia crashed into the back of a semi-truck trailer. Maybe driving a car that low isn’t such a great idea. 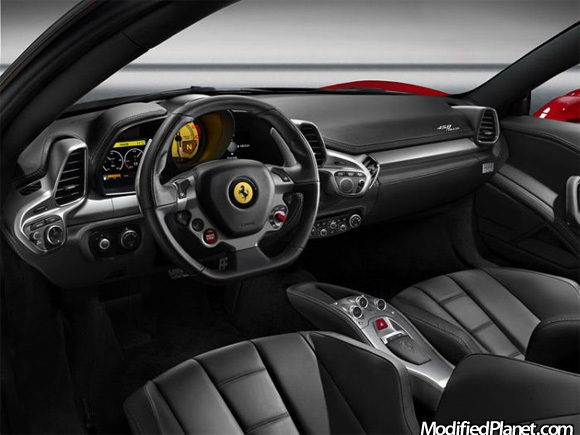 Car photo of a 2010 Ferrari 458 Italia interior featuring the advanced steering column, paddle shifters, instrument cluster, racing seats and aluminum trim. Simply beautiful. 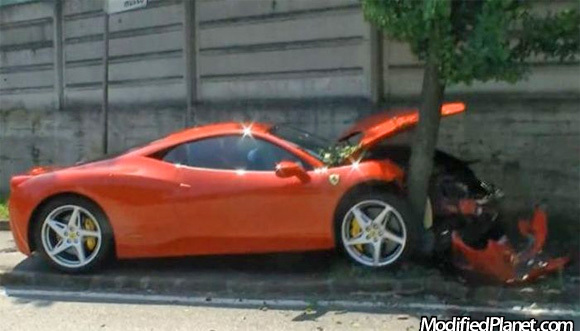 The owner of this 2010 Ferrari 458 Italia obviously never drove a car with 462 horsepower cause he ended up crashing it into a tree. Fail! 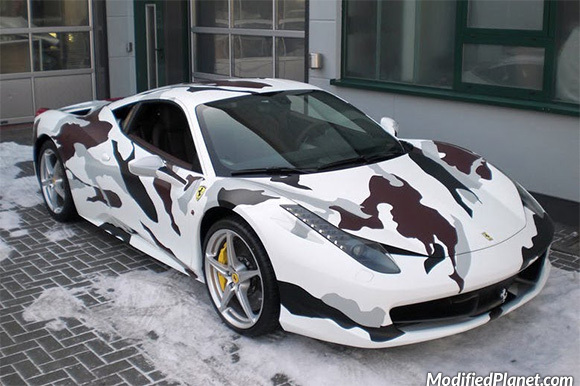 Ferrari F458 Italia is involved in a crazy car crash during the Ferrari Challenge Europa at Le Mans. It hurts just watching this car video.